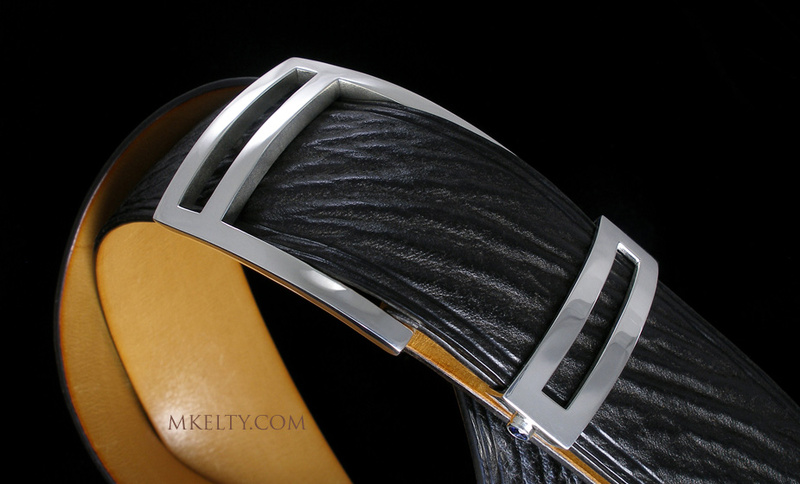 This version of the Metro buckle is smooth, sleek and elegant. Stone mounts are somewhat concealed on the slanted sides of the keeper. A very wearable buckle. Starting at.... 850 USD.... w/ sapphire or ruby mounts on the keeper.